What citation style do I use? If you aren't sure which citation style you should use for an assignment, check your syllabus or any handouts given to you by your professor with instructions for the assignment. If it is not listed, you should contact your professor. You can also check the tabs at the top of this page to see the various citation styles used on campus. The field associated with that style is listed there. Remember to check your images, wherever you find them, for permissions and limitations of use. Always check for copyright information and be sure to cite your sources as best you can! Part of using images properly, is writing strongly and clearly about them in your work. Use the resources below for guidelines in writing clearly using images as well as links on fair use and using images responsibly. Provides guidelines for writing about images cogently and clearly. A helpful place to start! Information on citing your images correctly using MLA. Via Reed College. Contains information on citing images in MLA, APA, and Chicago citation styles. Via University of Texas. Excellent website that explains copyright and includes the 4 factor test. LibGuide by the MIT Libraries. Using proper citation style allows us to give credit to the creators of the material we are using. It is how we use information responsibly and respectfully. By using citations, our claims and theories become more authorized and credible because we are providing supporting evidence from other sources. Citations also allow us to be honest about our contributions and avoid plagiarism. 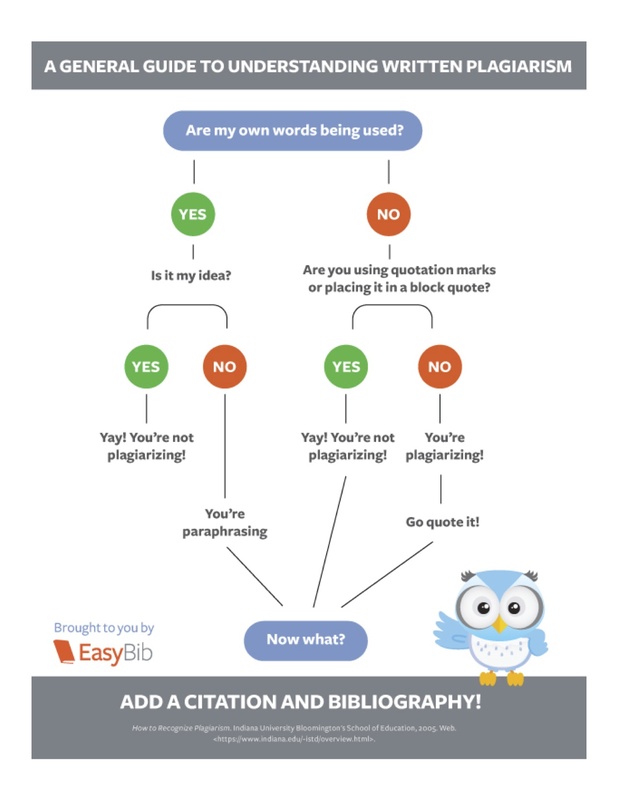 This guide was created to help you find the information you need to be able to create citations properly and avoid plagiarism. Please feel free to ask a librarian for more help! Watch this quick video from our InfoLit Instruct by Credo course. Here are links to online citation generators. For the purposes of creating a quick, one-time citation in the correct style, these websites will generate citations once the information has been provided. Many thanks to Florida International University for allowing us to reuse much of the content on their citation guide for our own!